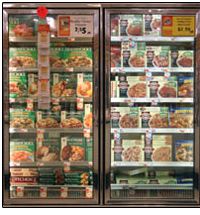 Supermarkets use lighted refrigerator and freezer cases to display a variety of foods and beverages. These cases account for nearly half of a supermarket’s annual electricity costs, with interior lighting systems using a quarter of the electricity required to operate the case. Nearly all commercial refrigerators and freezers use linear fluorescent lamps. Although fluorescent lamps provide superior energy efficiency in many lighting applications, their use in commercial refrigeration is not ideal. Fluorescent lamps in this application exhibit a reduced light output of up to 25% and uneven lighting on the products. These problems are a result of ineffective lamp operation at cold temperatures, the lack of optics to direct the light, and poor configuration and mounting location within the freezers. LEDs may provide a better solution. 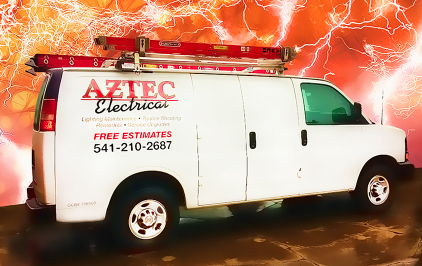 LEDs do not suffer the same drop in light output under cold temperatures that fluorescent lamps do. The current luminous efficacy (the amount of light per watt of energy used) of LEDs—45 lumens per watt (lm/W) in 2006—is similar to the application efficacy of fluorescent lamps in commercial refrigeration. LEDs also can be customized to provide several distributions of light to provide more even lighting across freezer shelves. These differences mean that LEDs potentially can provide more efficient lighting.